Structural Steel Detailing is a graphical representation of the construction work. Steel Detailing and Fabrication is the process of preparing detailed plans and documents for the manufacturing and erection of steel members like Beams, Trusses, Columns, stairs, Joists, etc. Our service involves effective project management with higher client satisfaction. We hold expertise in SS Structure Fabrication Service. The offered services are performed by a team of experienced professionals We are backed by highly experienced engineers and skilled labors, who ensure to meet specific demand of clients in the most efficient manner. Further, we keep in mind industry standards, while rendering the service to the clients. We have carved a niche amongst the most trusted names in this business, engaged in offering a comprehensive range of SS Structure Fabrication Service. We manufacture stainless steel structure fabrication. 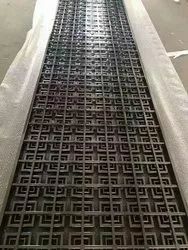 The most highlighted part of it is they are available in rust free material and has longer life as compared to others. 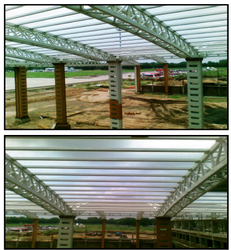 We manufacuture structures as per drawing and specification provided by client. The technically advanced fabrication services of storage tanks and process equipments are offered by us for various heavy engineering, oil & gas and chemical industries. The tanks and equipments can be designed and developed with maximum flexibility and fulfill various flow requirements of liquids and gases. We manufacture and offer various Industrial Heavy Fabrication jobs by using our SS Structure Fabrication Services. We undertake contractual jobs for exports in Indian and overseas markets. These custom made manufacturing and fabrications are designed to provide easy and hassle free operations in assembly projects.